How Do I Create My Online Gallery? To publish a gallery, click on the Collection you're working on and then click "Gallery Settings". Make sure to go through each tab and make any necessary customizations! Visit here to learn more about customizing your online galleries. Click "Publish" to save your changes and you're done! You'll see that your new gallery is now accessible on the galleries list. 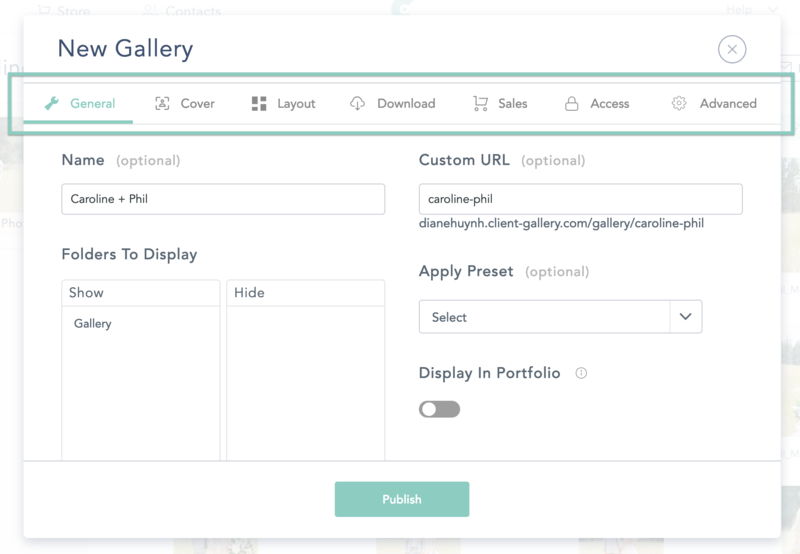 From here, you can easily choose to Copy the link, Preview the gallery, or Send it to your client.